Good morning! I have some of the Sassy Lacquer winter polishes to share with you today. Like the last time I tried out Sassy Lacquer polishes, I was really impressed with the creativity and quality of these polishes. First up we have Boughs of Mint Holly. It's a lovely minty green base, accented with gold shimmer, red shards, and small silver glitters that look white in the polish. The balance of glitter in this one is really lovely and it was easy to apply despite having shards. I've misplaced my swatch notes for these polishes, but I can tell you that this is either two or three coats. Next is Jack Frost. I was worried that this one would end up being too frosty, but it is really perfect. It has a nice wintery shimmer without crossing over into the frosty-finish territory. Again, this is two or three coats. 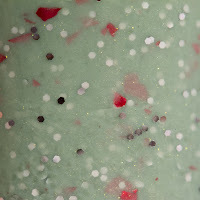 Shimmering Sugarplums is a pretty glitter topper. In the bottle, this polish appears to have a shimmery jellylike base, but for me, it mostly just looked like a clear base when applied to the nail. 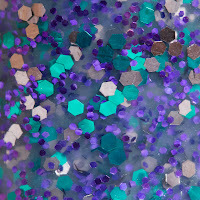 That's okay though, the combination of green, purple, and gunmetal grey glitters are beautiful on their own. I've shown SS here over butter LONDON Sprog. 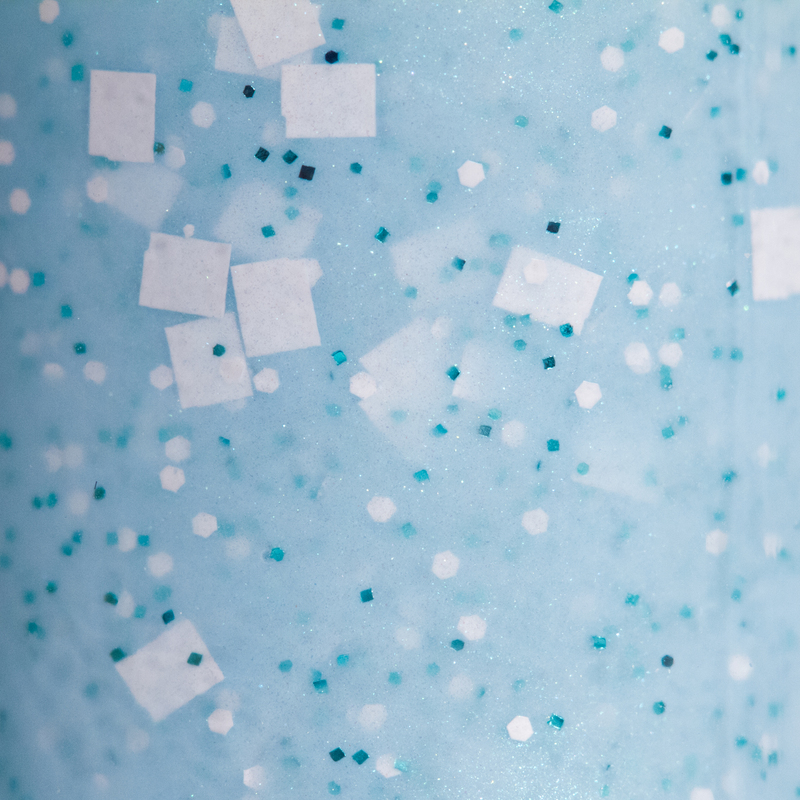 Here are some macro shots of the bottles! 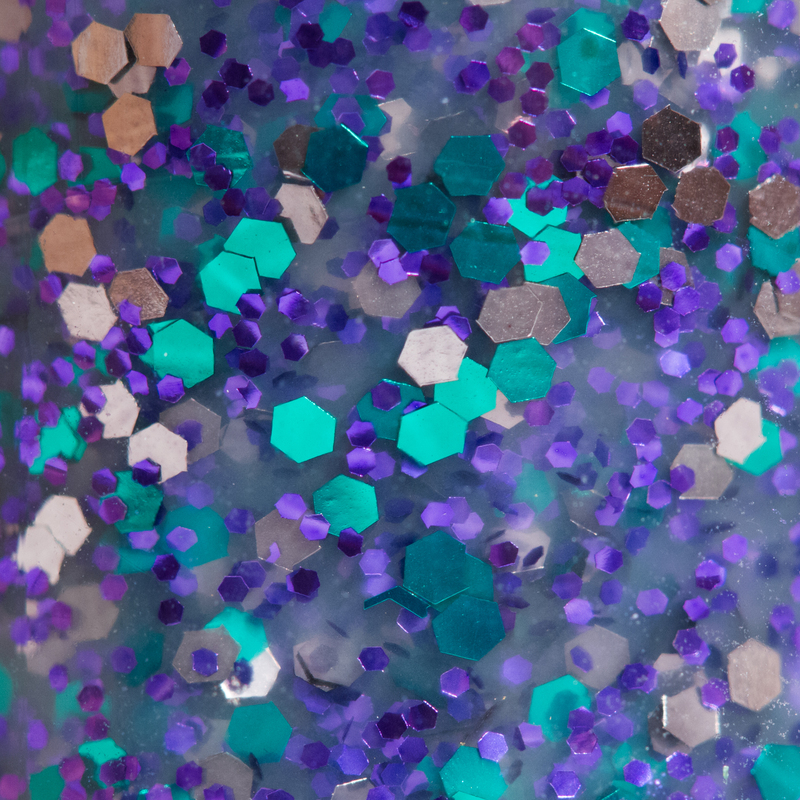 Gettin' up close and personal with some glitter! Which one is your favorite? I am loving the gold shimmer in Boughs of Mint Holly. Sassy Lacquer polishes are 3-free and sold here. You can also check out the brand's Facebook page for more information. Totally in love with Jack Frost! I LOVE Jack Frost, seriously amazing! Jack Frost is my favorite!!! I think it's beautiful and such an original shade! I love Jack Frost and Sugar Plums. Gorgeous photos! Mint Holly is so gorgeous, but I love all three! Great macro shots! Boughs of mint is lovely!!!! Beautiful! I love all of them! Shimmering Sugarplums is my favorite! 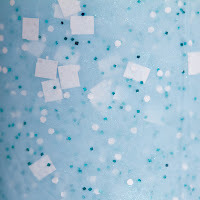 Mint Shimmer is so beautiful! Loving Jack Frost and Shimmering Sugarplums! The green one just rubs me wrong which is strange since I love green. I think it is the glitter mix in it. Amazing collection- love boughs of mint holly! 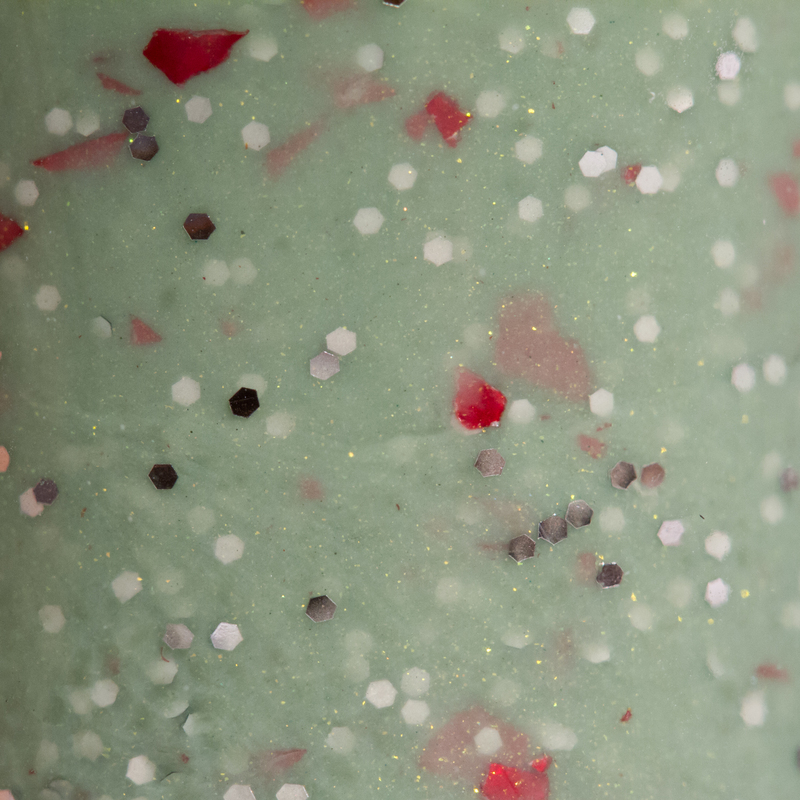 I honestly can't decide between the Boughs of Mint Holly & Jack Frost. They've both got my vote. These are really gorgeous! I think Boughs of Mint Holly is my fave; I love "classic" Christmas colors. All three are very pretty.